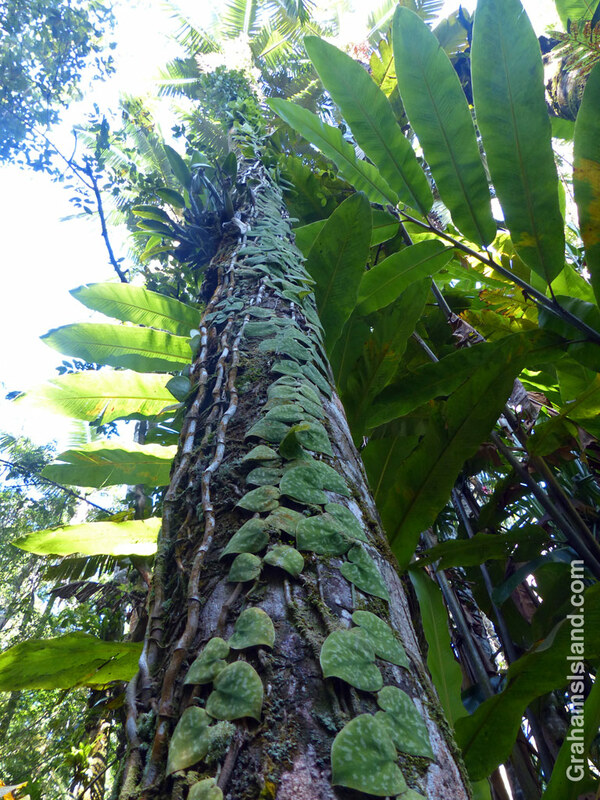 A satin pothos (Scindapsus pictus) climbs a tree in Hawaii Tropical Botanical Garden. While rampant in tropical climates, this plant is quite popular as a houseplant elsewhere. It’s poisonous to dogs and cats though, so that’s something to consider.